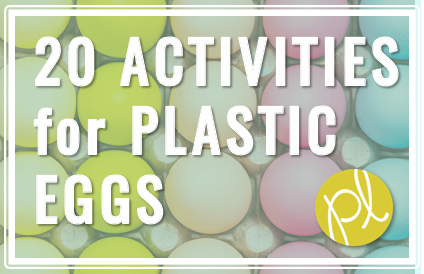 If you are anything like me, you have SO many leftover plastic eggs lying around and would love to put them to GOOD use! Let’s face it, they seem to multiple every year and this many eggs take up quite a bit of space. Mine certainly don’t look as good as the picture above either, lol. Luckily, these activities will keep your students learning and they can be used ANY time of the year. Activities that are just plain fun! Contractions – i.e. : write “is not” on the top half and “isn’t” on the bottom. 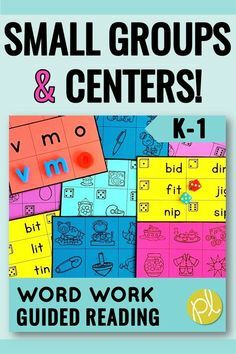 Students will match the words to the contraction. I recommend creating at least 10 sets for students to match. More eggs = more challenge! Onset and Rime – i.e. : write “c” on one half and “at” on the other. Match up the halves to form “cat.” This is especially fun because there will be more than one way to make a match if you create several sets: bat, cat, pat, etc. Math Operations – i.e. : write a number sentence on one half (4 + 6) and the answer on the other (10). 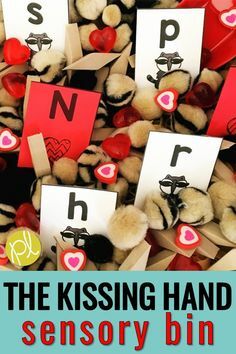 This will also most likely result in more than one way to match and that’s a GREAT connection for our students to make! 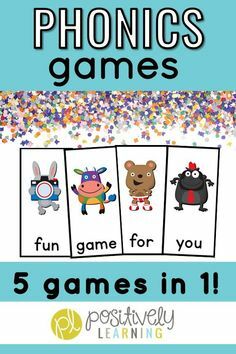 Number Match – there’s so many ways to match numbers…numerals to number words, subitizing (i.e. : drawing five dots to represent 5) and numerals. This would also be a great way to notice the relationships between numbers. Name and Spell – tuck in a picture of a sound-spelling your students are working on, i.e. : fan, cake, drum. Students will open the egg, name the picture, and then spell the word. Other ideas: students can name the picture and identify the number of syllables, the initial sound, final sound, etc. 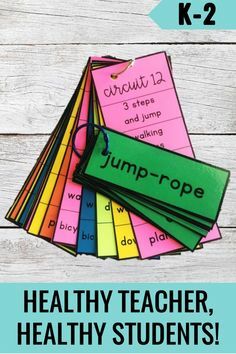 I’ve used this activity every year and differentiated the level for my students. Story Starters – tuck in a folded paper with a sentence starter (i.e. : “Once upon a time there was a lonely frog…”) or topic to write about. Students select an egg and go grab their writing journals! Scrambled Words (scrambled, get it?) 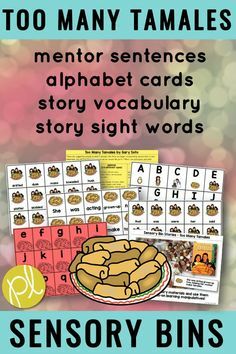 – add cut up words to the eggs and close them up tight! Students crack open the egg and spill out the letters to form the mystery word (sight word or spelling word). 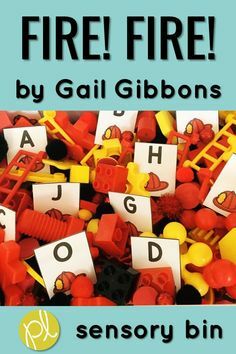 I also used letter manipulatives (Scrabble tiles, alphabet magnets) for this activity. It was HUGE hit! 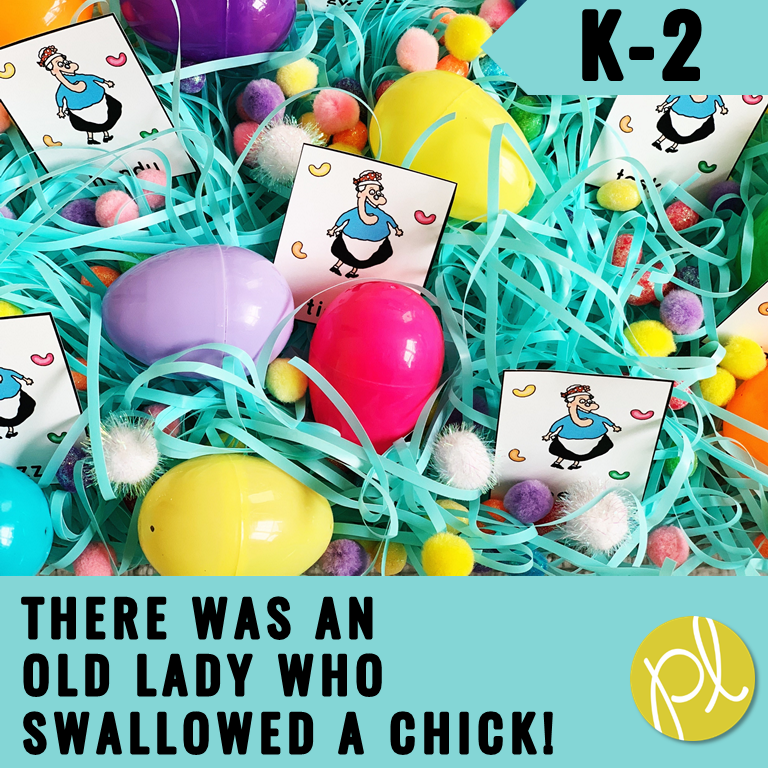 Parts of Speech – tuck one slip of paper into each egg featuring a noun, verb, or adjective. 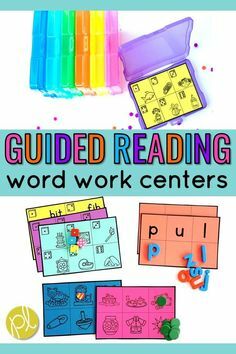 Students read the word and then sort them into their correct part of speech. Idea: have three Easter baskets ready labeled Noun, Verb, and Adjective. Inferences – write the name of a mystery object (i.e. : carrot) on a piece of paper and hide it inside one egg. Student can ask inquiring questions or you can provide clues for students to guess what it is… It is orange, healthy for our eyesight, etc. What’s the Prize? Another inference idea! 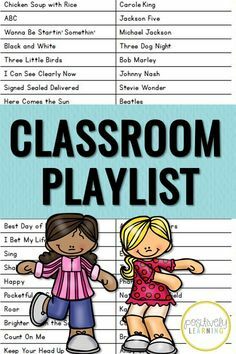 Tuck in the name of a reward activity and/or fun brain break. Students will be working together to earn a chance to choose an egg incentive! Musical Instruments – proceed with caution, lol! Use leftover eggs to create egg shakers and maracas! Fill with dried beans and tape them (and then tape them again!). My co-teacher did this activity last year. No comment on the headache that followed, but our students were REALLY excited! 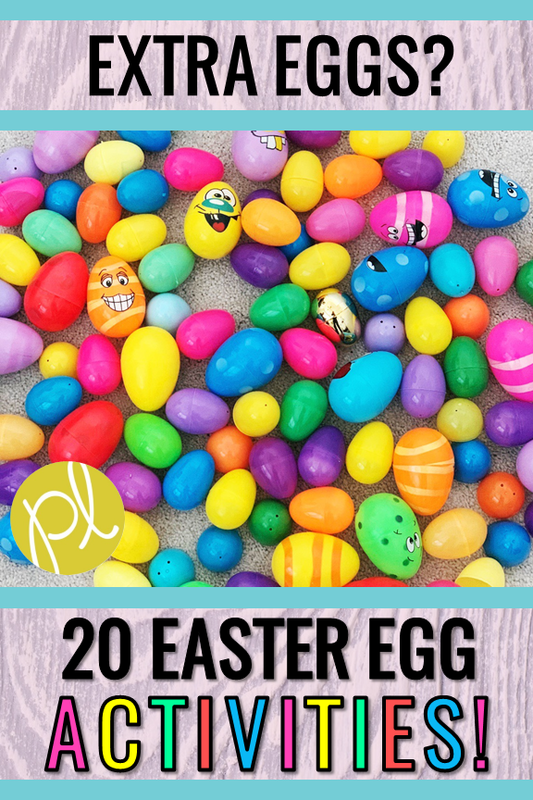 Patterns – split up all the eggs into halves for students to use for pattern building! 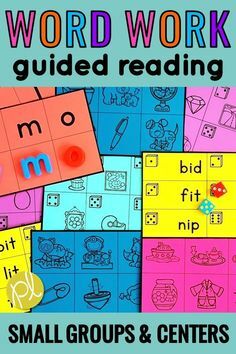 They can build with two colors (AB) and three colors (ABC). Painting – I will admit, I haven’t been brave enough to try this, but it looks really neat! Pour paint onto a shallow surface, like a paper plate. Use the open egg half to dip into the paint and then transfer to a blank canvas. Imagine the creative paintings your students will create with all those circles! Playdough Tool – use the egg halves as “cookie cutters” to create circles and sculptures using your favorite dough. Egg Stacks – these plastic eggs can be a perfect building tool! 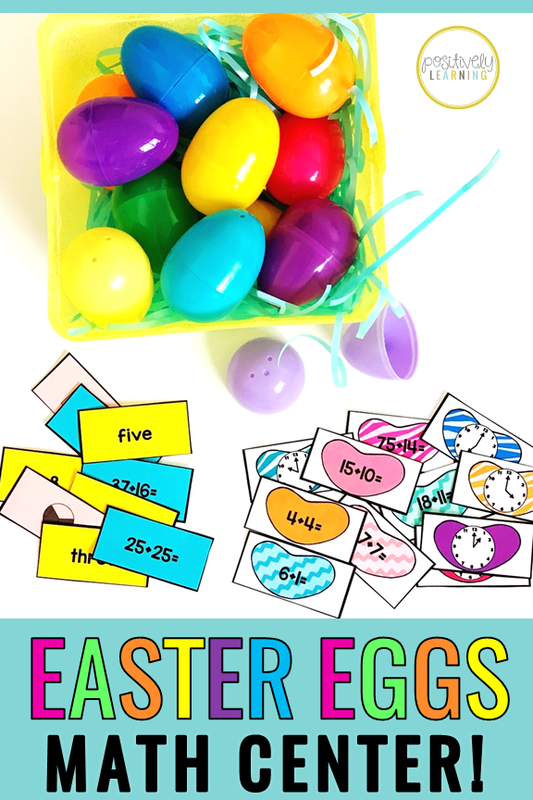 Try out this STEM activity today: separate the plastic egg halves and challenge students to build the tallest egg stack! How high will it reach? 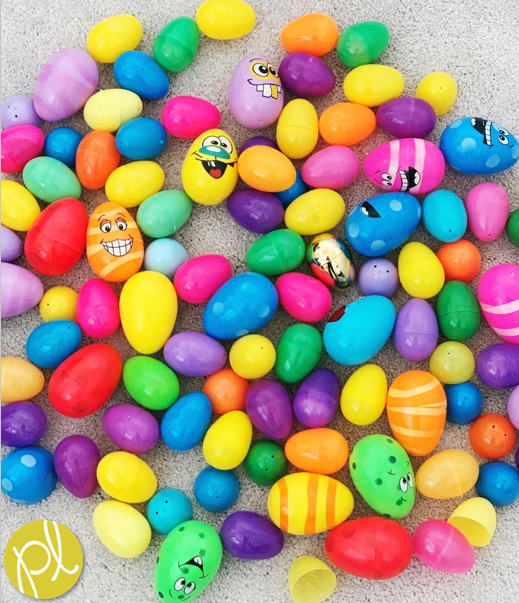 Sensory Bins – this may be one of my favorite ways to use extra plastic eggs 🙂 Add them to your Easter sensory bins! Which one (or two or three) activities are you going to try out this year? Are there any ideas I need to add to this list? Looking for more teaching tips? Be sure to subscribe to my free newsletter! 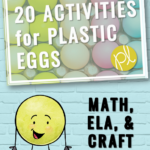 Have fun adding these plastic egg activities to your classroom!